There was a post the other week on the message board I frequent about making salsa. 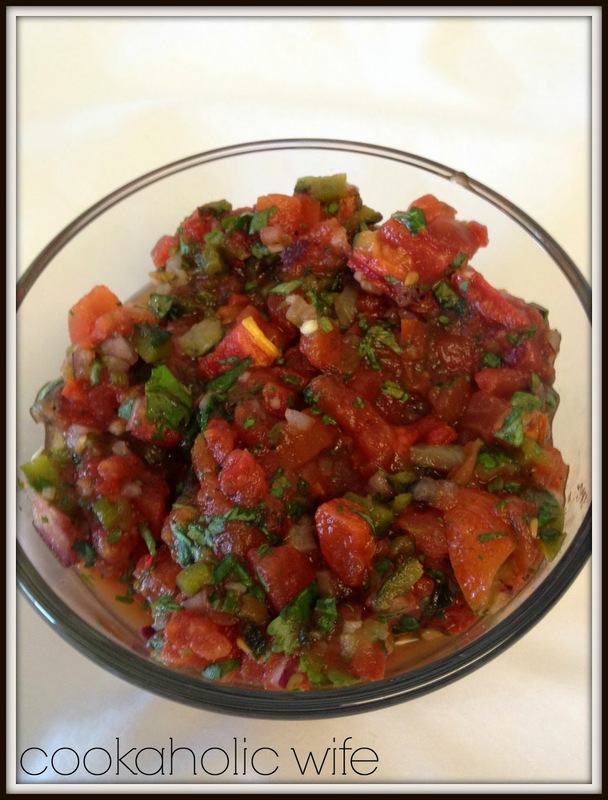 Of all the recipes I’ve made, fresh salsa has never been one of them which is kind of surprising since I’ve always liked it and its not a particularly difficult recipe to make. Later in the week my mom decided she was definitely having people over for Labor day and asked me what I wanted to bring. With salsa on the brain, I decided I would finally make some of my own. It didn’t take me long to find a recipe that was perfect. I even visited a local farmers market for local tomatoes and the freshest of ingredients. 1. Preheat the oven to 350 degrees and line a baking sheet with foil. Place the halved tomatoes on the baking sheet and bake for 30 minutes. Flip tomatoes over and bake an additional 30 minutes. Remove from the oven transfer to a plate or bowl to let cool. 2. Increase the oven to broil and place the jalapenos, poblano and bell pepper on the foil lined sheet. Broil for 2-3 minutes or each side of the peppers or until charred. Transfer to a bowl and cover. 3. Once cool enough to handle, peel the skins from the tomatoes and roughly chop them. Once the peppers have cooled, peel off the skins and dice, removing the seeds. 4. Combine tomatoes, peppers, garlic, lime, cilantro and cumin together in a bowl. 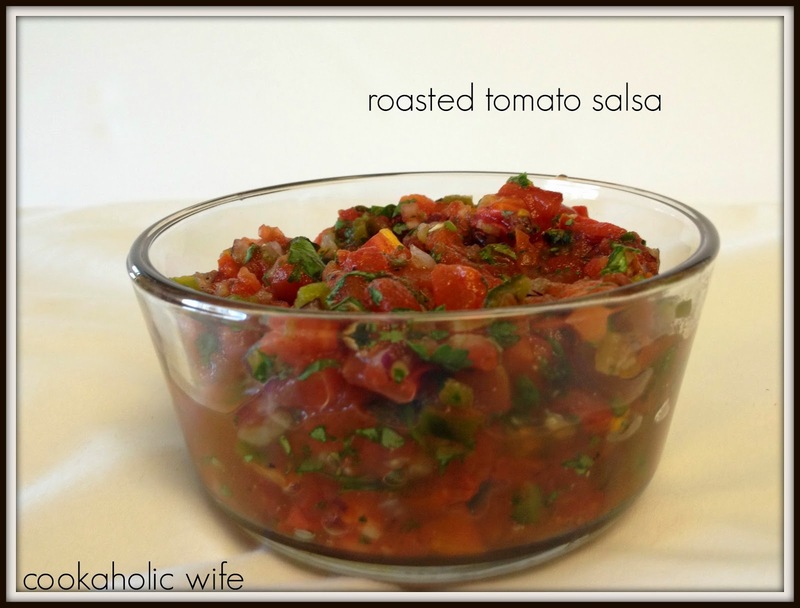 (You can process in a blender or food processor if you want a smoother salsa.) Toss to combine, then season to taste with salt and pepper. 5. Let sit for at least 20 minutes to allow the flavors to mingle. The jalapenos I got were particularly potent and even without their seeds (or the very few I missed) this was one spicy salsa. But it was so good! I have no idea why I haven’t made this before, and for such an easy recipe I should definitely make it again for parties! My only adjustment to this recipe was to add in the bell pepper, simply because I had one that was going to go bad soon and had no other plans for it.